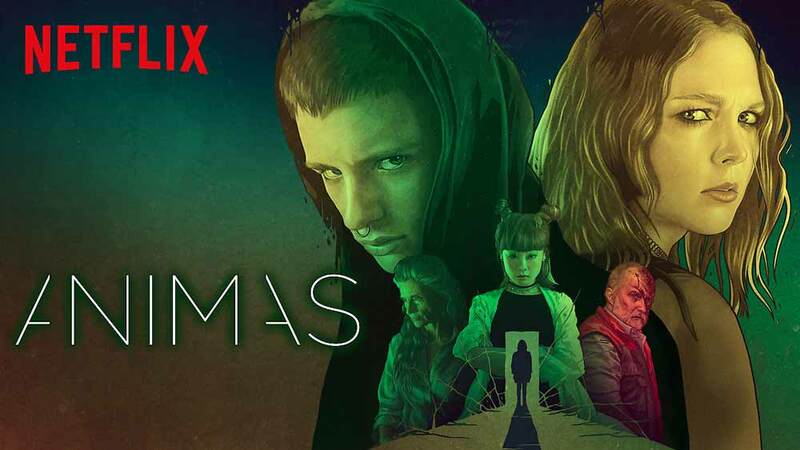 Ànimas is a Spanish horror movie out on Netflix now. The movie originally premiered at the Sitges Film Festival in Spain, which is always a good sign for horror fans. Be sure to check out this crazy horror gem! Ànimas is a Spanish horror movie on Netflix and it is definitely worth your time. But please, make sure you’re in the mood for something that is bound to challenge you a bit. Also, it is quite the slow burner at first. A bit too much for my taste, but it does make up for a lot of it later on. If you don’t give it a chance, then you’ll probably give up on it. And that would be a shame even though it does take too long to get to the good stuff. Don’t worry, the craziness does actually make sense in the end. What you’ll notice about Ànimas at first, is probably its use of color. It’s virtually impossible not to compare it to Dario Argento’s Suspiria. While the remake from 2018 also used color, this Spanish movie does it to a point that is much more like the original Argento movie. It really is over the top in a way that almost trips itself up. In that sense, it’s more like the movie Elizabeth Harvest. Except that particular movie used the color with more of a purpose, which Ánimas doesn’t do as clearly. Another part of Ánimas that is easily comparable to Suspiria, is the use of a building. Of course, in Suspiria, it was a dance school and now it’s an apartment building, but the same still applies. You have a female character running around in a building that feels increasingly like being trapped in a nightmare. One of the main characters, Bram (short for Abraham), is portrayed by Iván Pellicer, who you might recognize if you’ve watched the Spanish series Fugitiva on Netflix. He’s a bit older now and this character is very different, which is good because he was very annoying in Fugitiva. Alex is the other main character and the one we get the most screen time with. The obvious reason being that Ánimas is a horror movie and she has to go through a lot of creepy stuff. Alex is portrayed by Clare Durant, who I haven’t seen in anything before, but certainly liked in this movie. Her next movie may be the horror movie The Malevolent. Then again, the movie is listed as being in post-production and this information was last updated in May 2016, so it may never reach an actual audience. In any case, I’m sure we’ll see more of Clare Durant in the future! For fans of Spanish cinema, I should also mention that Ángela Molina has an important supporting role in Ánimas. She doesn’t get a lot of screentime but does the most with what she has. Ángela Molina has been in many of Pedro Almodóvar’s movies and was in Ridley Scott’s 1492: Conquest of Paradise. Watch Ánimas on Netflix now! Ánimas was written and directed by Laura Alvea and Jose F. Ortuño. The two have worked together before on both feature films and documentaries, so it’s obviously a partnership that works. It’s the fourth time Laura Alvea has written for a project whereas Jose F. Ortuño has had a lot more experience in that department. In fact, this movie is actually based on a novel written by him. 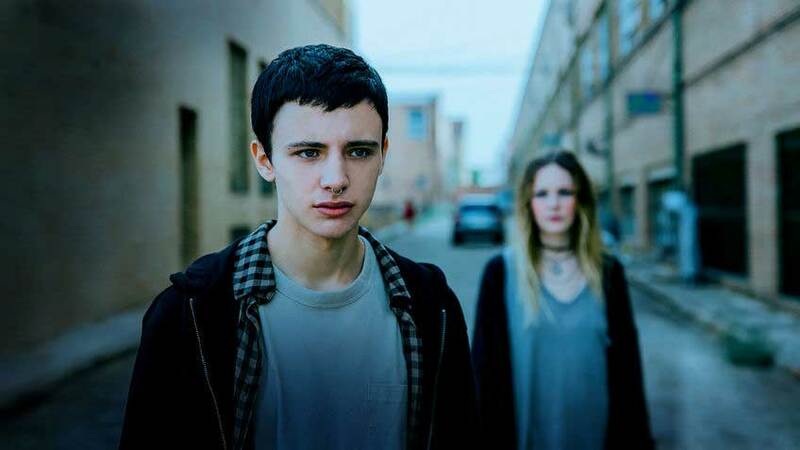 Originally, Ánimas premiered at the Sitges Film Festival in Spain on October 4, 2018. It was also out in limited release in Spain following this premiere. The rest of us will have the chance to enjoy Ànimas on Netflix and really, most of you should well and truly enjoy this. I mean, with the tagline “This time, the horror comes from the other side” you just know this is made with horror fans in mind. But at the same time, it’s not for everyone since it does require you to get into the very symbolic storytelling. Ánimas is out on Netflix in the US, Canada and several other countries from January 25, 2019.